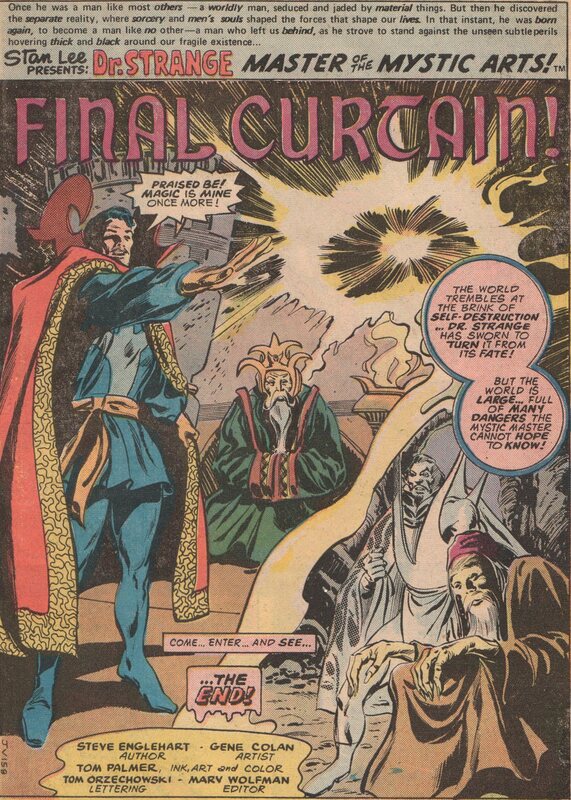 Doctor Strange 12, 1976 “Final Curtain!” | Magazines and Monsters! 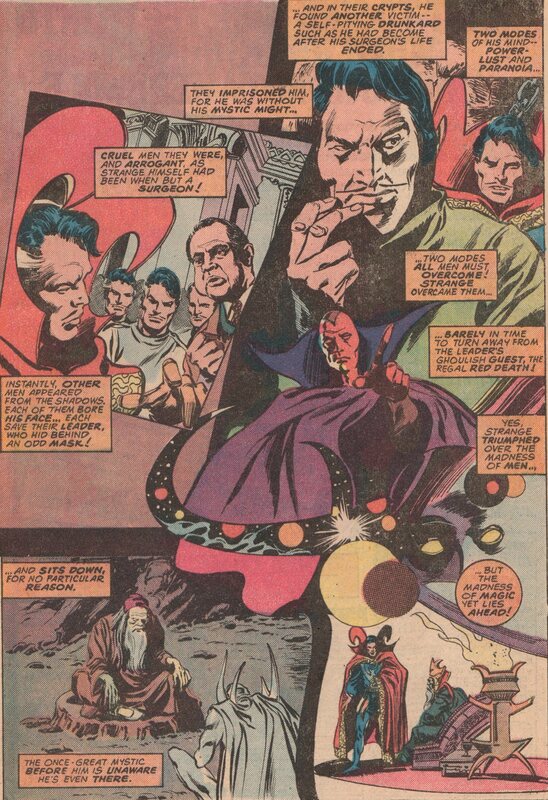 It’s no secret that Doctor Strange is my favorite character. His 1974 series is undoubtedly one of the most underrated series of all time. From start to finish it’s incredible. And let’s be honest, with creators like Steve Englehart, Gene Colan, Roger Stern, Jim Starlin, Tom Sutton, Marv Wolfman, Rudy Nebres, Paul Smith (and more! ), you can’t go wrong! 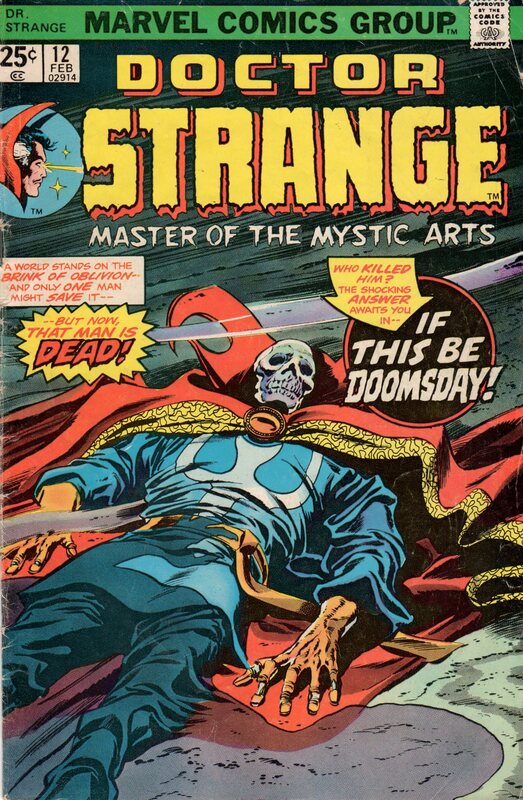 This particular issue deals with the Doc, as he’s about to be in conflict with Eternity himself, for the soul of his recently deceased master, the Ancient One! 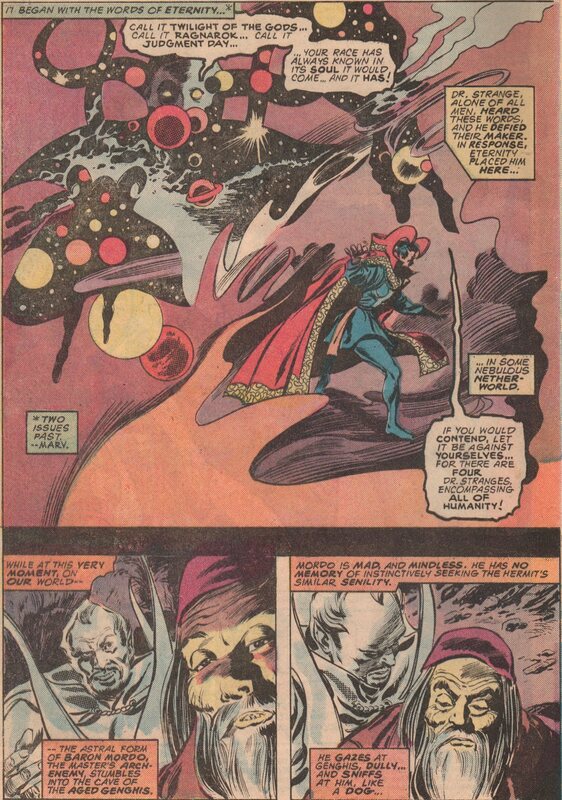 A flashback of the insidious Baron Mordo, and the Doc and Clea see the world die! 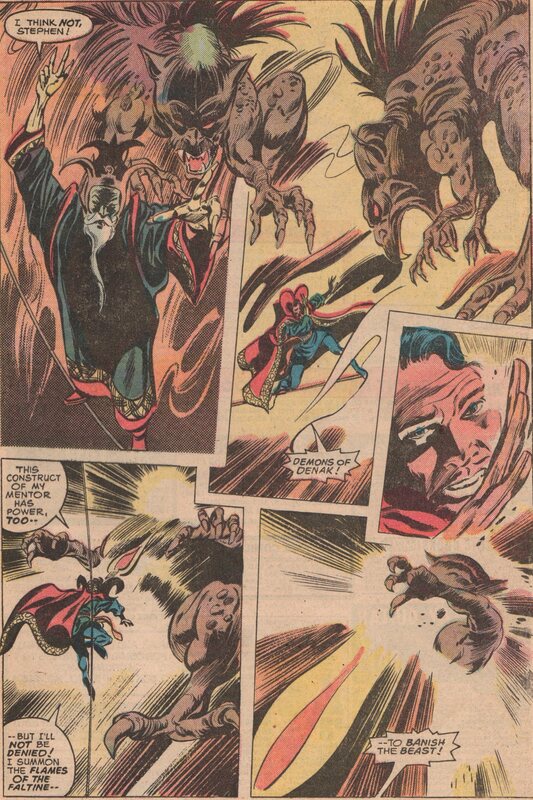 As the creative tag-team of Steve Englehart (writer) and Gene Colan (pencils) was beginning to wind down, one might think that the material might suffer, but this is not so. Both men brought their “A” game until the end of the run. It’s to be expected though, as both were consummate pros throughout their comic book careers. Another link in the awesome creative chain, is Tom Palmer (inks, colors). His work alongside Colan is legendary, even if you only look at this title or Tomb of Dracula. Yet another name synonymous with Bronze Age royalty is Tom Orzechowski (letters). He was a constant at Marvel and definitely earned his place among these other greats with his diligence. Throw in Marv Wolfman (editor), and the credits are full of amazing creators that gave their best!